The comet assay (also known as Single Cell Gel Electrophoresis) is a technique for the detection of DNA damage at the level of the individual cell. It was first described by Singh et al. in 1988 and since then has become massively popular and is the standard technique for evaluation of DNA damage/repair, biomonitoring and genotoxicity testing. The comet assay involves the encapsulation of cells (both eukaryotic and prokaryotic) in low-melting-point agarose. The cells are then lysed and electrophoresis of the suspended lysed cells is performed. This is followed by visual analysis of the stained DNA (there are several appropriate DNA stains available on the market). Then, the extent of DNA damage can be calculated based on the fluorescence. To gain precise, reproducible and robust data it is best to use image analysis software, such as Comet Assay IV. If you are looking to start up the comet assay in your laboratory, then why not view our brief guide on necessary equipment to perform the comet assay. 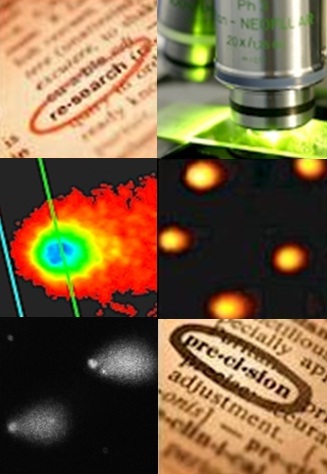 If you are new to the field of comet assay research, please check out our useful publications list where we have listed some of the most informative comet assay publications. If you are currently experiencing issues with the comet assay set-up within your laboratory, then please take a look at our trouble shooting guide. For the latest information, news, developments and case studies on the comet assay, check out the comet assay news page.